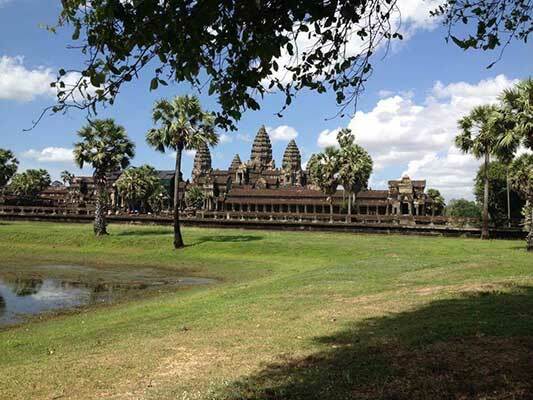 Siem Reap Taxi Driver, Siem Reap airport arrival taxi transfer, tour guide to Angkor Wat park. Siem Reap Taxi Driver offer Siem Reap airport arrival taxi, tour guide to Angkor Wat Park and overland cities transfer. 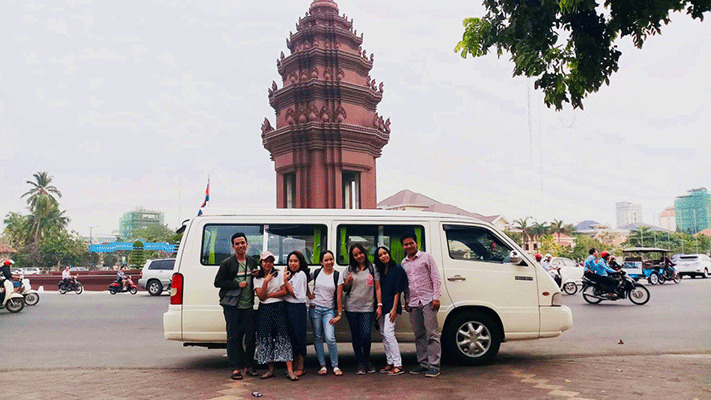 So Phat, the Cambodian taxi driver with many years experienced and expert provide tour services around town temples in Siem Reap, Angkor Wat, Cambodia. Contact Sok Phat arranges your personal driver on private tours. One of the most informative a local taxi and fully licensed fluent English-speaking driver native and providing transportation's and guide services for many years, safe comfortable drive then you can hire me with confidence. Need total honest friendly good English-speaking driver? The traveler can rent affordable price the service including cold ( bt) water and cold towels, contact by sending me your Email with your itineraries you might have. We pleased to discuss with you. Why travel by Tuk Tuk ? in Siem Reap for your visit to Angkor area?. It is very popular for budget tourists. The tuk-tuk Remeouk made in hand Khmer temple is a very locally transport, popular for tourists to Angkor, and also for the one who wants to experience the outdoor ride style or outdoor transport of Cambodia style. The Tuk Tuk cans curries three passengers, clean, comfortable seats with the roof, raincoat which can protect you from rain and hot sun. You can easily to take pictures and look out fantastic views and fresh air of nature with the safe driving, careful. It is a Cambodia Tuk Tuk ( Motorbike Trailer ) is a newly designed of the perfect idea for tourists to explore The Angkor temples, also will drive you close to the nature of this land. Cambodia Tuk Tuk brings fresh air after you did hot temples under sunshine then car small group. The car four seats fix with small group 1- 4 pax maximum flexible for all distances, if you want to make different experience two with tuk-tuk and one day with car for far destinations such as Preach Vihear, Koh Kher temples group, Beng Melea vegetation temple, Phnom Khulen Water, Kbal Spean ( River of thousand of Linga) Bantay Srey more..! Air-conditioned minivan for the larger group up 4-10 people, it can fix all group and bags and travel peaking driver and tour guides on package quotations. all drive brief explanation about Angkor Wat temples and Cambodia history before entering the sites. Other more, We am a fully licensed local taxi driver and you can hire us with confidence. You will be receiving a safe and smile, good, memorable and experience tour if you choose us as your local taxi driver and guide. We do dedicate to giving us clients the best services to enjoy our local communities also being the safe, comfortable, beautiful smile and good memories bring safe home. Please send us emails about your arrival details and will of tours if you don't want or to be harassed by the crowd. Have read clearly and interest please booking now!